I really appreciate Baker and Baker’s professional work. Originally I hired another law firm but they did not do a good job. I desperately wanted a good law firm and good lawyers to help me out after the previous firm screwed up. 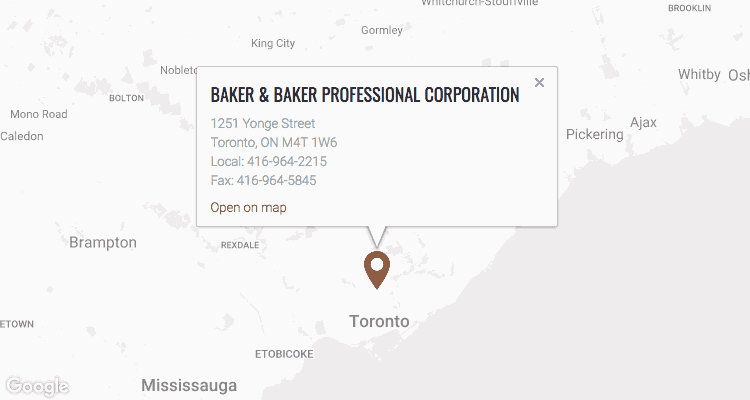 Fortunately I found Baker and Baker law firm. They rescued me from a difficult situation. I would like to thank Baker and Baker, especially Andrea Di Battista. She is professional, very knowledgeable, and very capable to resolve issues. Her response is fast and she cares about customers’ feelings. Although the other side was very unreasonable and agressive, Andrea knew how to protect her client and resolved issues based on her customer’s needs and best interests. I strongly recommend Andrea and Baker & Baker.